How to easily update your VMware Hypervisor from 6.5.x to 6.5 Update 1 (ESXi 6.5 U1). 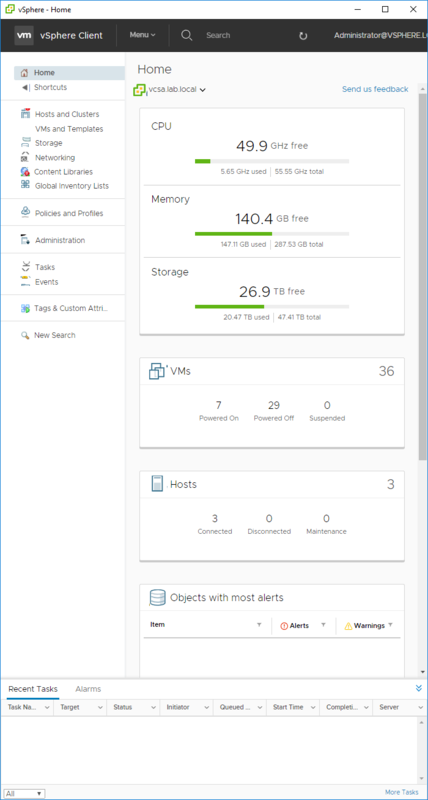 Today's big vSphere 6.5 Update release is a big deal in that many customers choose to wait for these Update 1 versions of any major vSphere version before upgrading their enterprise. Yes, to mee, it seemed that vSphere 6.5 was such a major change from 6.0 that it could have just as well been called 7.0. That nitpicking aside, the wait-for-N+1 customers and risk-averse home-labbers is over. Start your downloads, but be sure to read this entire article before you begin installing! 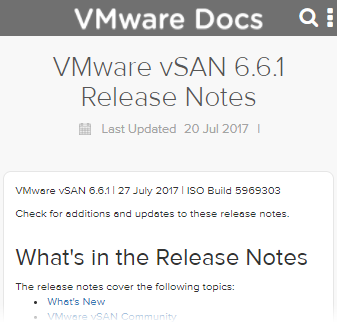 For those of you into vSAN, there's considerable refinement that moving from vSAN 6.6 to vSAN 6.6.1 will bring. There are many fixes, and a few new features. 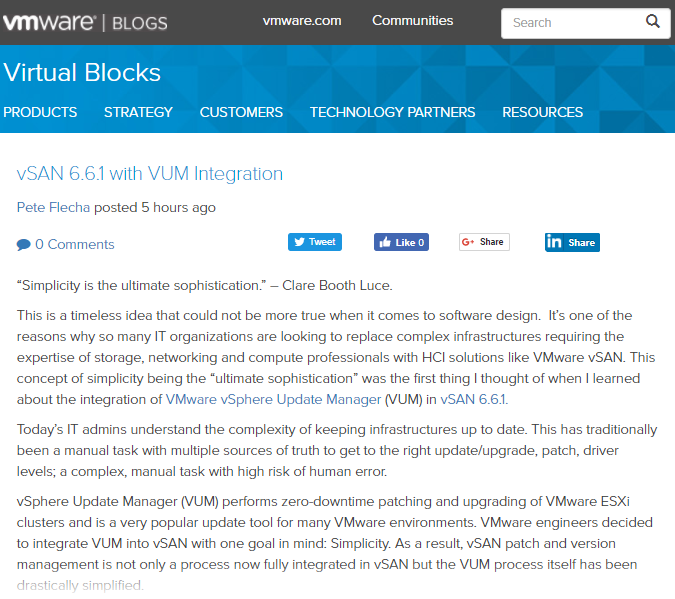 This article helps remind folks that the vSAN bits are baked right into the Hypervisor, so there is no separate download for vSAN 6.6.1, it's right in vSphere 6.5 U1! Also, anybody can now upgrade from vSphere 6.0 U3 to vSphere 6.6.1 / vSphere 6.5 U1,. Don't miss the VUM Integration video featured in the video gallery below. 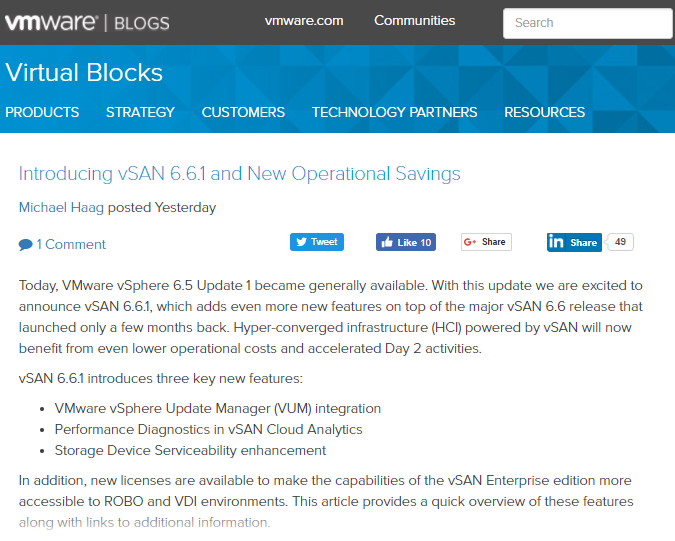 If you are already at vCenter/VCSA 6.5.x and ESXi 6.5.x, then you can get vSAN bits today by simply installing or upgrading to vCenter/VCSA 6.5 U1 and ESXi 6.5 U1. Details appear (soon) for both new installs and upgrade. It shouldn't be too long before the EVALExperience downloads links are updated to 6.5 U1. Keep in mind that you can always upgrade your 6.5.x version quite easily, seen below.